They say you've got to dress for the job you want. Well, if you're interested in becoming a sweet, spellbinding witch then you need to consider your hair carefully. That's right, your locks will be an important part of your look. Sure, we usually focus on curved shoes, pointy hats, and black dresses but those are all just clothes. If you want to look like you've got a deep knowledge of potion making and charm casting then you need to look like the magic is simply seeping into your hair follicles. Now, witches have quite a range of looks. Some people go for the gray old woman look but that is simply a witching sup category. Those witches dry herbs and still use caldrons. This witchy look is part of the modern age. 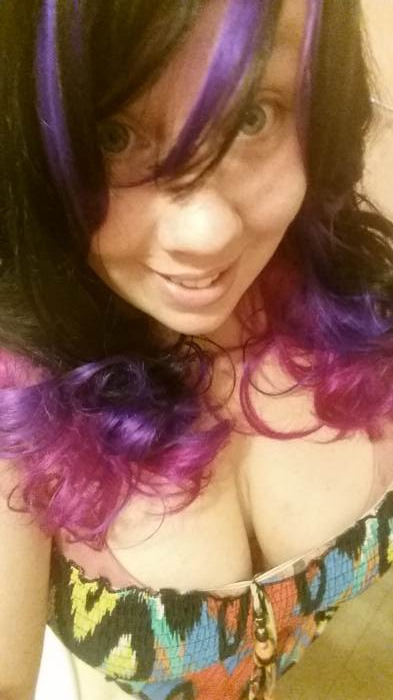 A witch with this kind of hair has an Instagram account, uses bitters in her potions, and runs a blog about the latest charm trends. 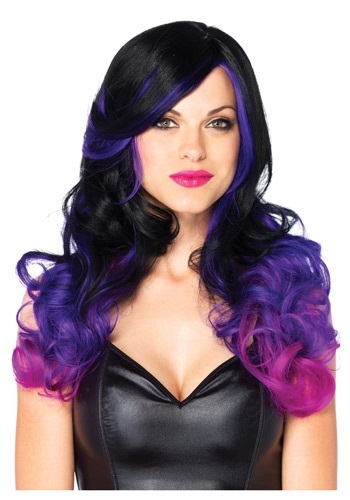 This wig is gorgeous with highlights of a hot purple and deep black and purple low tones. Hmm, won't be long till this lady is running her very own coven! I have to say I wasn't expecting much given the low quality Halloween wigs out there - but this is a high quality wig! The hair is soft and life-like, color vibrant, fits snugly and well. I and my daughter both love it!!! I LOVE this wig. It looks really great on. It's a bit big (not for small headed people - luckily I'm big headed, ha!) There's plenty of room to hide your own hair underneath. Can't wait to wear it somewhere! !